Patti Johnson's 5908 Interiors in Farmers Park is a home décor shop that offers a tasteful variety of high-quality furniture and home accessories. Tucked into the popular scenery of Springfield’s Farmers Park, 5908 Interiors is among the newest additions to 417-land’s interior design shops. 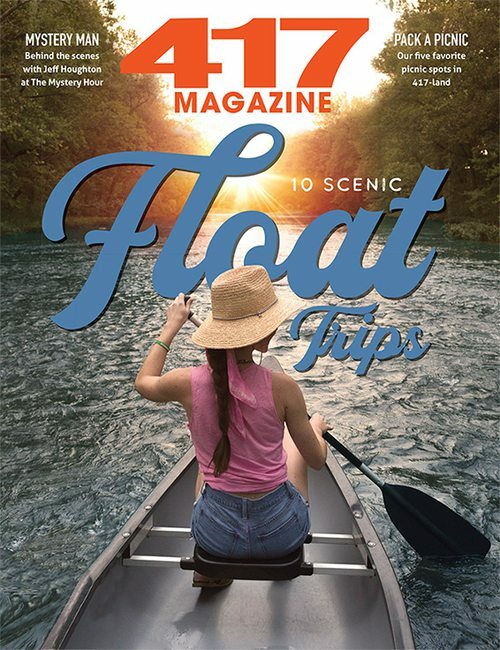 Its doors first opened in September and has since introduced shoppers to something a little different than the average home décor retail store. Inside the showroom, white walls are splashed with artwork, and distinctive lighting fixtures hang from above. Everywhere you look you’ll find creative displays of classic style vases, shabby chic throw blankets, gift sets of mugs and plates and a whole lot more. 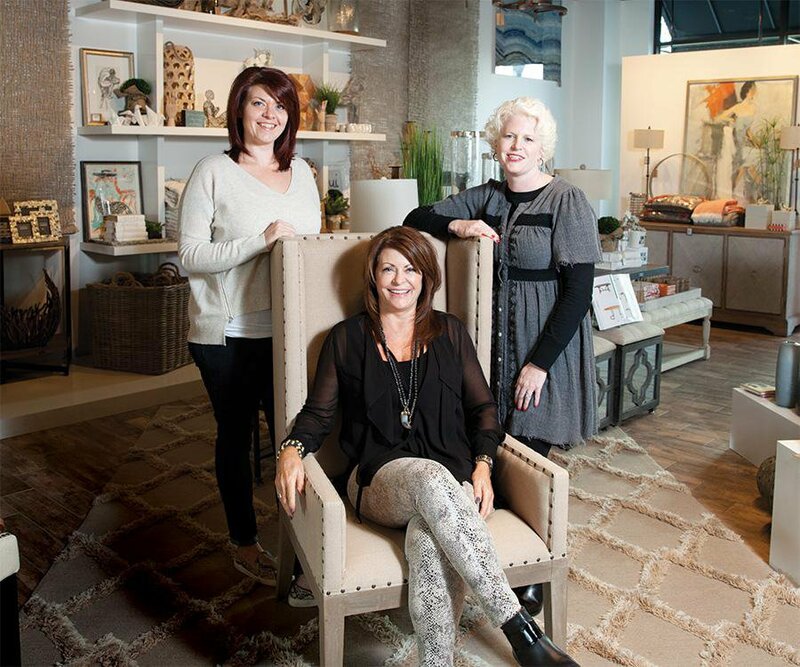 Owner Patti Johnson previously owned London Crest Interiors for nine years and now runs 5908 Interiors with her two daughters, Julie Pennell and Shannon George. The three started talking about opening a home accessories store together in January of 2015, and once they signed the lease for a spot at Farmers Park, everything quickly started falling into place. Johnson has nearly 20 years of interior design experience and provides customers with professional interior design tips to help add color, texture and depth to their homes. She says a typical day at the store is spent straightening displays, making sure all the products are properly tagged and assisting customers who come through the doors. 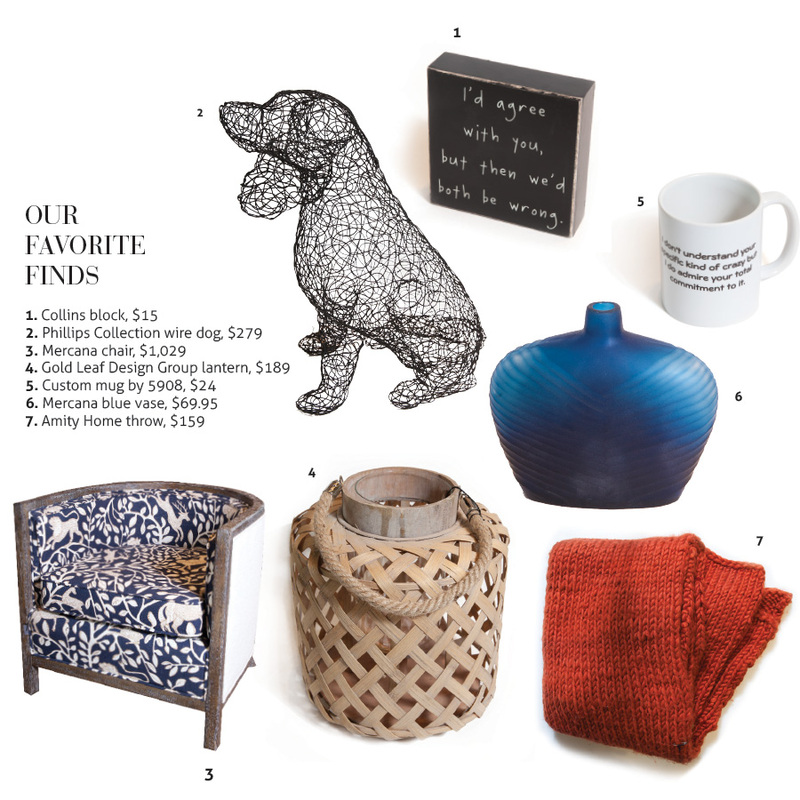 Johnson handpicked a bulk of the store’s product herself, intentionally choosing to feature a variety of styles and price points. 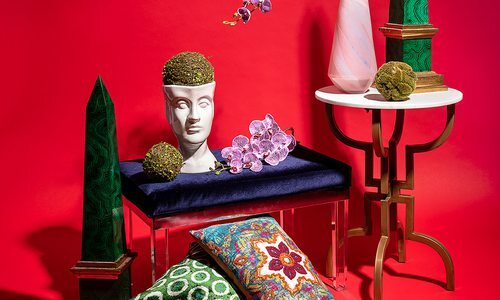 You can find everything from modern, vintage, trendy or contemporary décor pieces to high-quality furniture such as tables, chairs and ottomans. The inviting and brightly lit showroom is just begging to be perused with creatively arranged displays showcasing eclectic furniture pieces, gift items and bold, colorful area rugs. 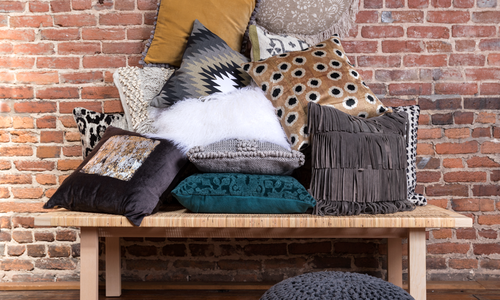 One of the many gems to be found at 5908 Interiors is a premier line of designer pillows from Cloud9 Design. One of Johnson’s personal favorites, they span a moderate price range and come in a variety of sizes and styles to suit any household. 5908 Interiors also carries eye-catching teak Buddha chairs from NOIR, a contemporary and eclectic line of furniture and accent pieces. You could come in and spend anywhere from 20 dollars to several hundred—it just depends on what you’re looking for. 5908 Interiors offers great value for high quality home décor accessories. Shoppers on any budget can find memorable gifts and furniture pieces for their home with the additional perk of an experienced interior designer on staff to help. 5908 Interiors is a vibrant getaway that inspires creativity, adventure and a fun shopping experience. 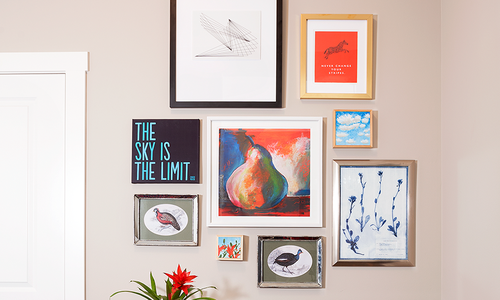 Creating your own gallery wall with local finds is easier than you think. Follow our simple tips to make your very own.